On August 22, 2012, following several delays, the U.S. Securities and Exchange Commission, or SEC, voted to adopt regulations regarding conflict minerals, as required by Section 1502 of the Dodd-Frank Wall Street Reform and Consumer Protection Act. The final rules were described in a 356-page document. In a new policy brief, the Enough Project summarizes the SEC’s reporting requirements for companies and outlines key implications for the advocacy community. The brief introduces the four-step process through which companies are required to analyze their compliance with the rules as well as highlights the areas where companies may be able to avoid dutifully monitoring their use of conflict minerals. 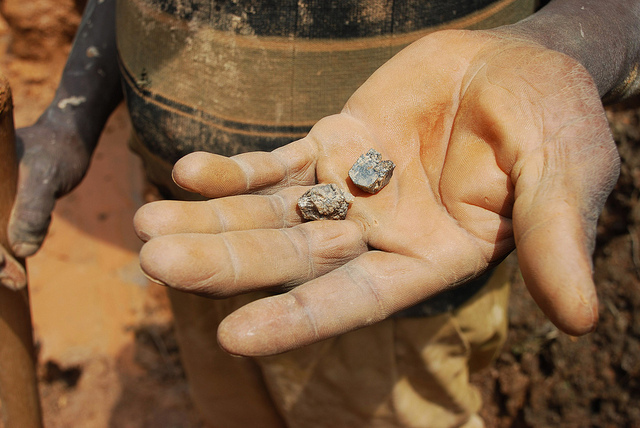 Over the course of four years, hundreds of companies will have to exercise due diligence with regards to their use of conflict minerals—the tin, tantalum, tungsten, and gold—extracted from Congo and neighboring countries. Companies will have to monitor the source and chain of custody of the minerals in its products. The goal of these regulations is to help reduce the trade of conflict minerals, which has been a major funding source for armed groups in eastern Congo. While the final rule is not perfect, it moves the conversation forward. The rule gets companies that use conflict minerals to report, and gives actors that care about this issue and want to invest in Congo, like Intel, Motorola, KEMET and HP, the terms by which to operate. The Enough Project will continue to laud companies working to eliminate the trade in conflict minerals, and bring to the attention of the SEC and the public companies who are not. The brief warns that advocates must remain vigilant in observing the credibility of the rules’ implementation. The two biggest concerns related to compliance are whether companies actually file the required specialized disclosures and whether the companies “country of origin” inquiries—wherein they must determine the source of their minerals—produce a conclusive result. The brief highlights that due diligence requirements are only triggered if and when a company knows definitively, or has reason to believe, the minerals in its products came from Africa’s Great Lakes region. This stipulation may, in fact, result in the perverse incentive for companies to conduct “country of origin” inquiries that are intentionally inconclusive. In such cases, the advocacy community must remain vigilant in order to insure that companies are conducting their compliance with Section 1502 in good faith.